Motivational wall sticker. Boost morale in the workplace by decorating it with inspirational quotes. 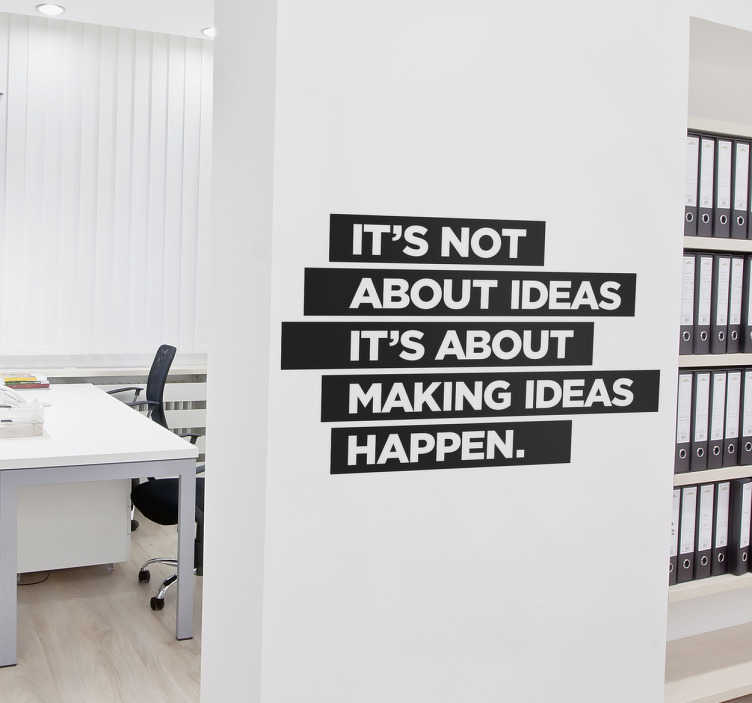 "It's not about ideas, it's about making ideas happen." With this motivational wall sticker, you will be reminded to work for your dreams everyday. This sticker is suitable for the office/bedroom/living-room or your own business. Like many of our stickers this design is available in a wide variety of sizes and colours.